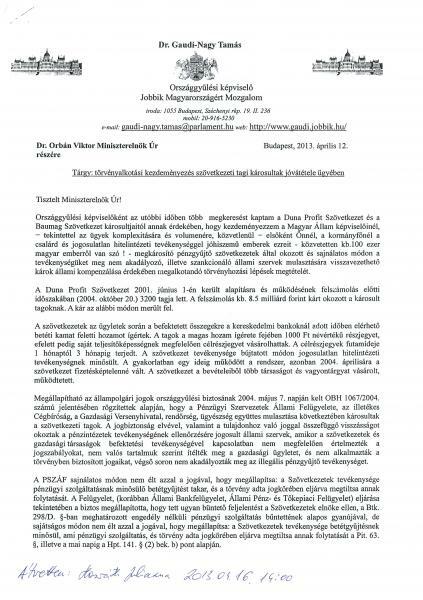 Migration crisis in Europe and Hungary: Europeans and Hungarians also have rights! 'Undemocratic' Russia had to provide asylum for the NSA brave whistleblower who would have certainly faced the harshest of punishments should he stayed in the US. The remarks made by Mr. Gaudi didn't go unnoticed by the democratic chairman who threatened to silence Gaudi who was keen to ask Mr. Snowden of the involvement of the EU in the scandal and also on the progress they made since the leaks. The Roussins are requesting the recognition of their nationhood. 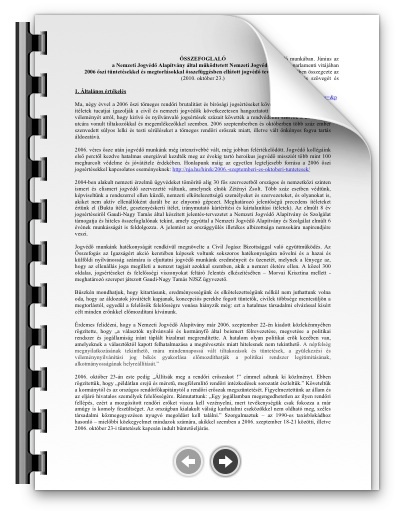 The Presidium of the Roussin People's Council of Trans Carpathia (NRRZ) is requesting in a Declaration the Recognition of their independent nationhood in the constitution on national level and the restoration and recognition of their rights from the new leadership of Ukraine. 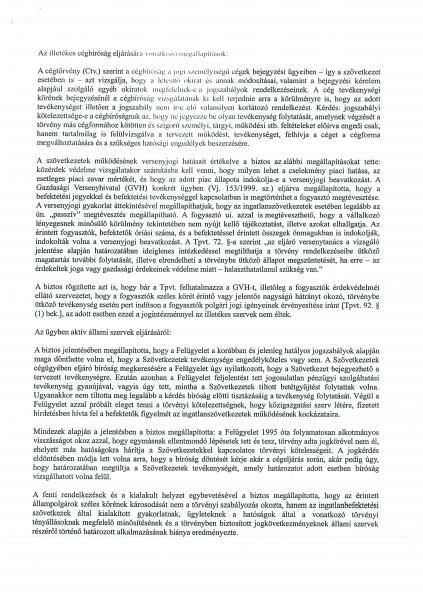 We the undersigned are committed Hungarian people who on this march 28th, 2014, gathered in Budapest at the Plaza of Polish General Joseph Bem, in front of the Ministry of Foreign Affairs to express our demands that the Hungarian territories occupied by the Ukraine would be returned to Hungary and in protest against the sanctions to the Russian people of the Crimea peninsula because they practiced their right of self determination. 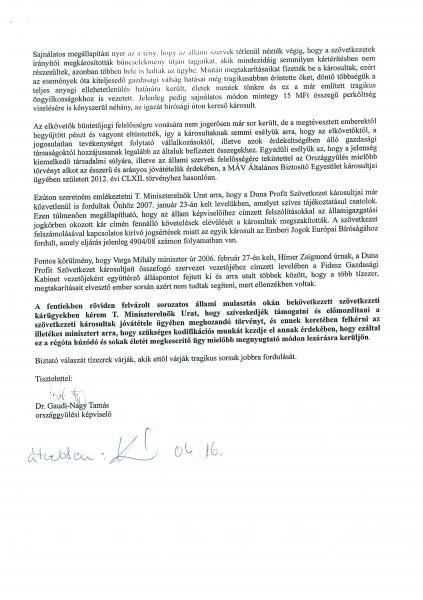 We are demanding that the following steps be undertaken by the Government of Hungary unconditionally especially with regards to the Constitution, Section D, which proclaims that the fight for the rights for the collective rights of the separated Hungarian communities must be a national government policy. EU flags are burning well across Europe! 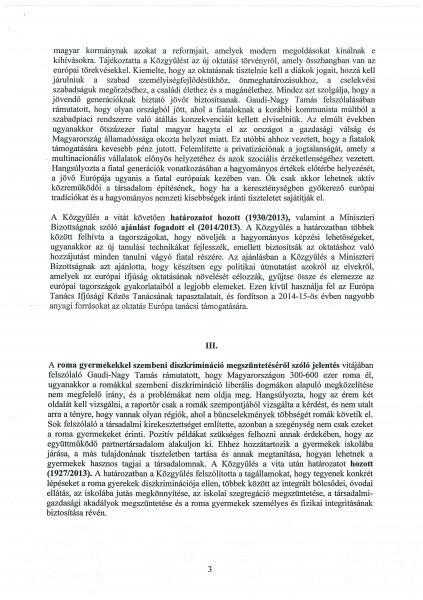 After myself and my deputy collegaue, Lenhardt Balázs removed and then have thrown out the EU flags from the Hungarian Parliament, we have received a torrent of congratulations from all over, so we have started the Remove all EU flags Facebook page. More and more European patriots have already joined and we have made over a thousand page likes mark. We are welcoming each and every patriot to join us there! 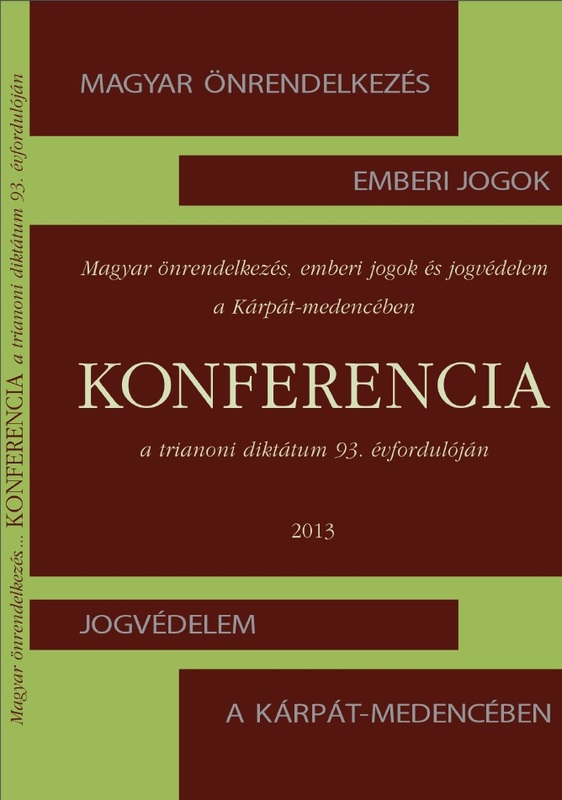 The charade of the CoE: the eye shooting advocate Göncz is considered visionary, Gaudi-Nagy Tamás is considered punishable. 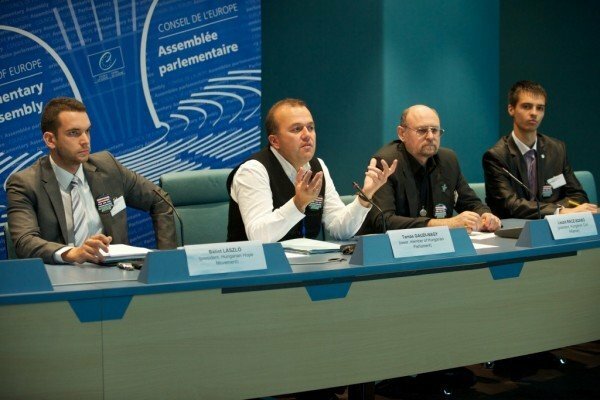 After he was denied to speak in the whole of the winter session, having no alternatives left Gaudi-Nagy Tamás protested during the speech of Martin Schulz the chairman of the European Parliament. 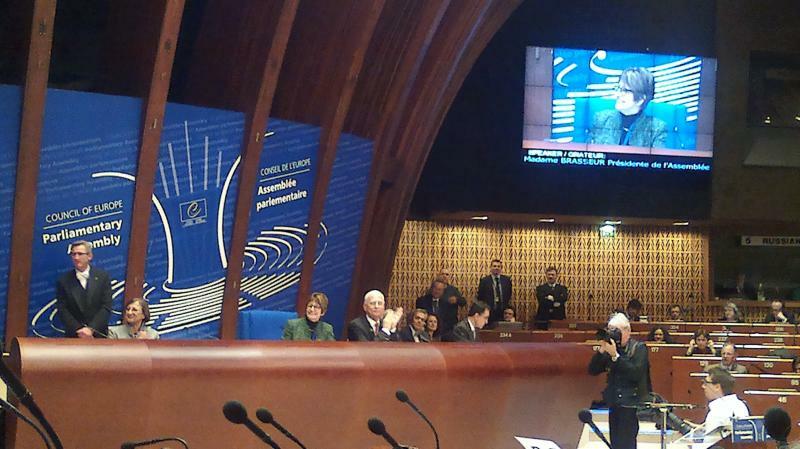 In the European Council encapsulating 47 countries and heralding the freedoms and human rights, on January the 15-the the result of an arbitrary decision lacking any foundation in any laws in place, Gaudi-Nagy Tamás, the only national radical representative in the whole organization was denied to speak for the whole of the January session. Gaudi-Nagy resorted to radical means never used in the 65 standing years of the council, fully aware that he might endure a successive penalty for the next sitting. 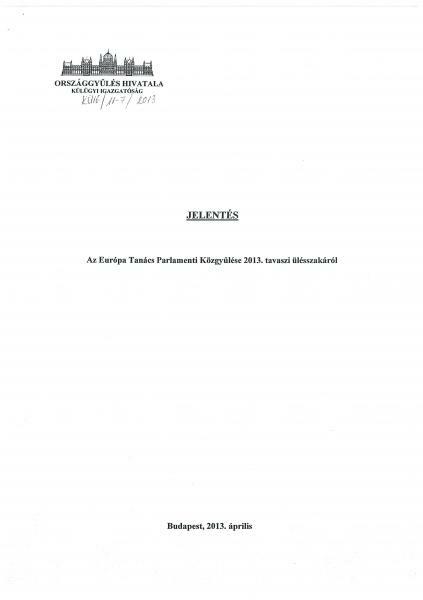 The video contains not only the threats of the standing president, but also his own audio take he had to record because of the censorship of the COE want off record on the official recording. 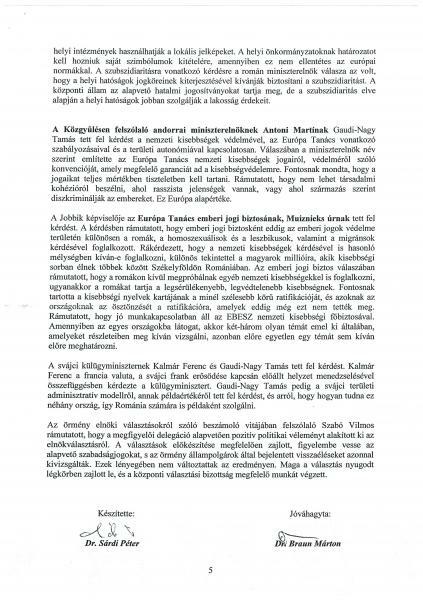 Gaudi to the Austrian chancellor: Give respect to the Hungarian Holy Crown and off the hands from the Hungarian lands! 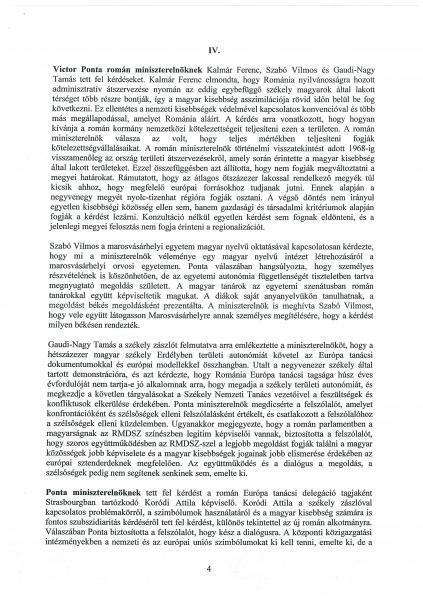 Gaudi-Nagy Tamás demanded from the Austrian chancellor Mr. Walter Faymann on the Council of Europe's January the 30-the sitting that He will help stop the robbing of hungarian soil by austrian citizens. 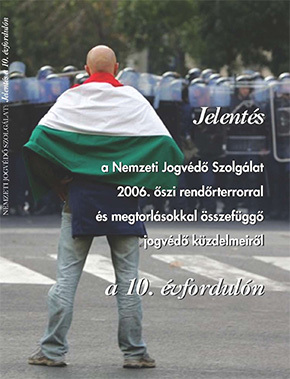 After that he demanded the respect given to the Hungarian Holy Crown By holding up signs, which prompted the security guards to attack, which he successful repelled. The leaving chancellor didn't take his card and hasn't posed interest in talking with the hungarian national rights defendant. 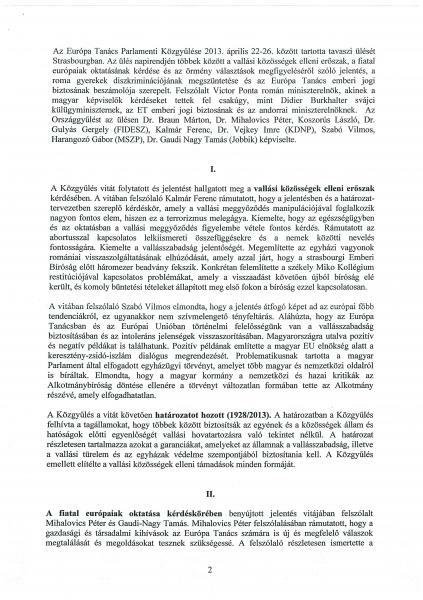 The joint Strasbourg mission of Tamás Gaudi-Nagy, the Hungarian Hope Movement (HHM) and the Hungarian Civic Association (HCA) has achieved a major breakthrough by providing an unprecedentedly unbiased report to the representatives of the Parliamentary Assembly of the Council of Europe (PACE) as well as to the key personalities of the CE about the real situation of the Hungarian community in the Voivodina region – says Jobbik MP István Szávay in his press release. Gaudi-Nagy: There is need for radical cahnge in the fight against corruption!